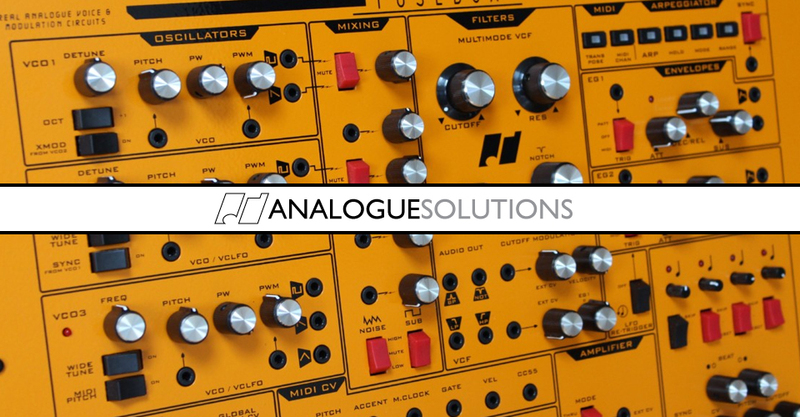 Analogue Solutions are a British manufacturer of boutique Analogue Synthesizers, well known for their unique take on classic circuits and forward thinking apporach, they are responsible for some of the most iconic synthesizers in recent years. Tom Carpenter is the brains behind Analogue Solutions, he has decades of experience in designing, repairing and working with all manner of synthesizers and effects. Perhaps the most famous synths AS are known for are the Vostok and Polymath, both semi-modular analogue synthesizers that feature a normalled signal path that can be re-wired by the user. Being able to rewire the signal path is a mainstay of the AS workflow, coupled with their rich, vintage voiced analogue circuits they create instruments with a soul and identity. Most most recent additions to the Analogue Solutions product lineup are the Fusebox and the Synthblocks range. The Fusebox integrates concepts from Moog, Oberheim and Buchla into a single modular system. Synthblocks are a range of desktop semi modular effects and synthesizers that are eurorack compatible and promote extensive patching. Our Synthesizer Specialist Tom Lewis is an Analogue Solutions owner and enthusiast, so for the very best advice give us a call or drop us an e-mail.